MiCADO is an auto-scaling framework for Docker containers, orchestrated by Kubernetes, which supports auto-scaling at two levels: At virtual machine (VM) level and at Kubernetes level. At VM level a built-in Kubernetes cluster is dynamically extended or reduced by adding/removing cloud virtual machines. At Kubernetes level, the number of replicas tied to a specific Kubernetes Deployment can be increased/decreased. The generic framework MiCADOscale supports the optimal and secure deployment of scalable cloud applications. With MiCADOscale, scaling logic can be implemented deeply within the application. MiCADOscale manages the orchestration at the application level by scaling virtual machines and their included Docker containers based on the resources currently required. MiCADOscale is provided through an Ansible playbook to reduce the configuration time. Flexible & dynamic scaling policy definition. MiCADO currently supports various public (AWS, CloudSigma, MS Azure, CloudBroker) and private (OpenStack, OpenNebula) cloud resources. When compared to similar solutions, MiCADO is distinguished by its multi-cloud support, highly customisable scaling policies, policy-driven security settings, easy Ansible-based deployment, and its intuitive dashboard. Once the core environment has been installed and put into operation, every aspect of your future applications can be tracked with the MiCADOscale-Dashboard. The integrated Dashboard collects web-based user interfaces into a single view. Currently it exposes the following websites: Kubernetes Dashboard, Grafana and Prometheus. 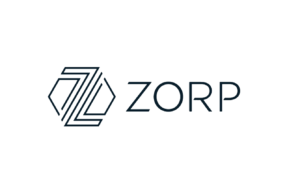 Zorp’s protection is provided at application-level through perimeter defense technology which satisfies the highest security needs. Using their Corps proxy firewall, the different containers in your distributed systems are secured individually. Therefore MiCADOscale can be run on any infrastructure. MiCADOscale is designed for Debian-Linux machines. We recommend using Ubuntu 16.04 & up. To install the latest version of MiCADOscale, please use the detailed documentation. The generic MiCADOscale framework contains the following core-components: Kubernetes, Occopus, Prometheus, MiCADOscale Policy Keeper, MiCADOscale Submitter. MiCADOscale is managed through a GitHub repository.